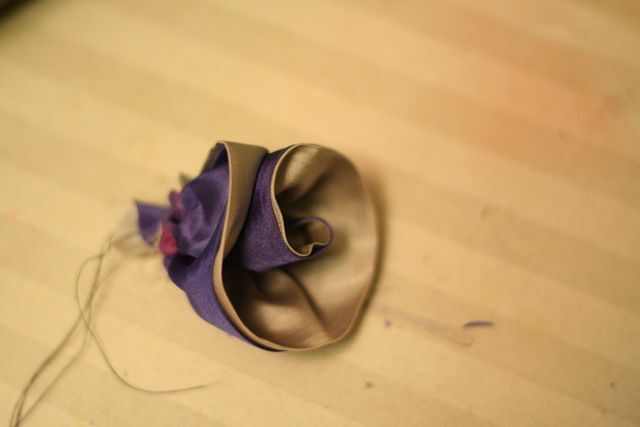 I said a few weeks ago that I would give you instructions on how to make the two toned fabric flowers and well I forgot to do that… so today is your lucky day! Here are the instructions as best as I can give them. 1. 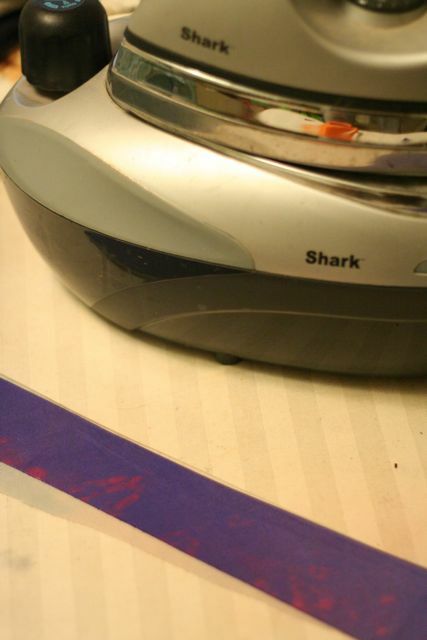 Take two strips of fabric (iron if needed). Trim to about 3 inch width and 12 inches in length. 2. 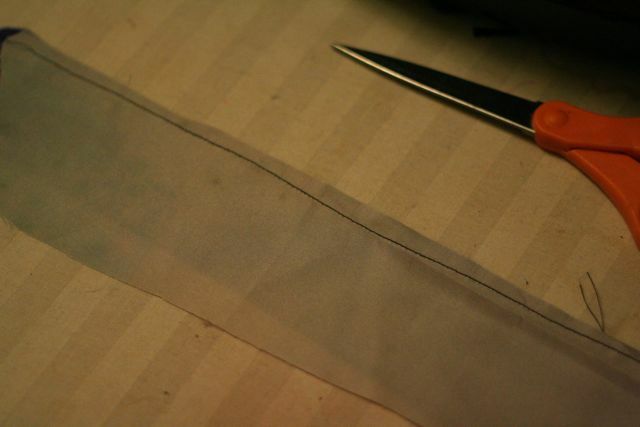 With the fabric right sides together, sew a straight stitch the length of the fabric along the side. 3. 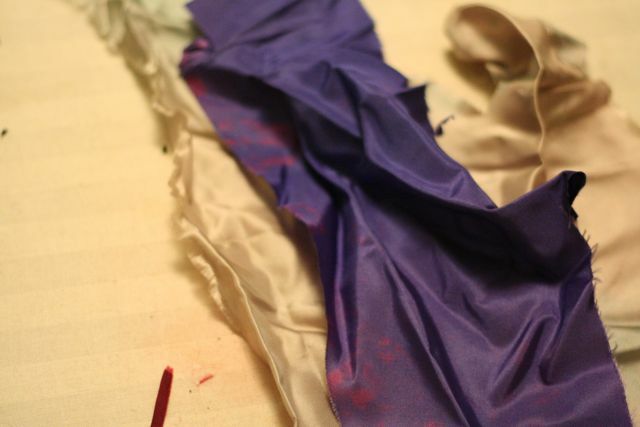 Turn the fabric right sides out and iron along the edge to crease down. 4. 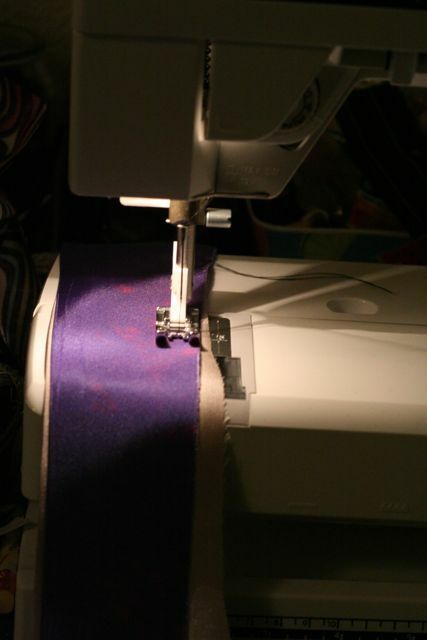 Setting your sewing machine on the longest stitch it has, run a stitch along the raw edge of the fabric (DO NOT BACK STITCH, you want threads hanging off both ends). 5. You will have two threads hanging from both ends of the fabric. Pull one of the threads on one side to gather the fabric. Roll the material together and you get this beautiful two toned fabric. Use a needle to sew the raw edge together. If you need any more details or help, please don’t hesitate to email or leave me a comment. This entry was posted in DIY, tutorial on October 23, 2010 by Deanna. I LOVE this one Deanna – thank you! I will be adding it to some Christmas projects!